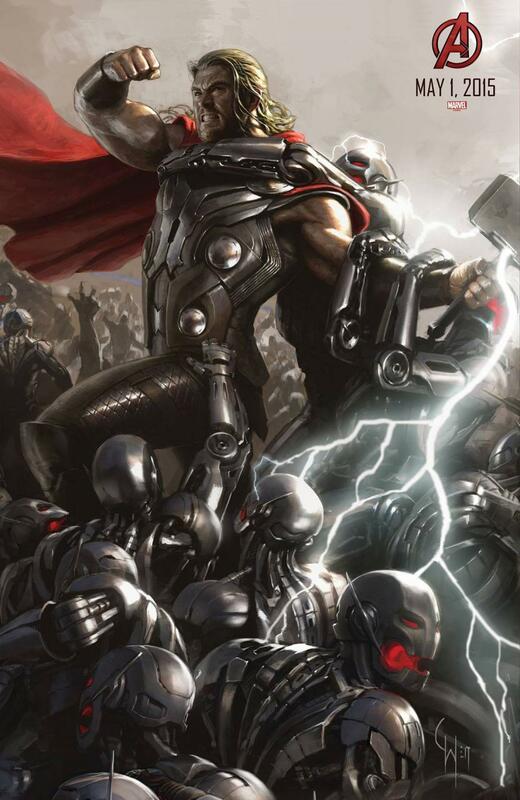 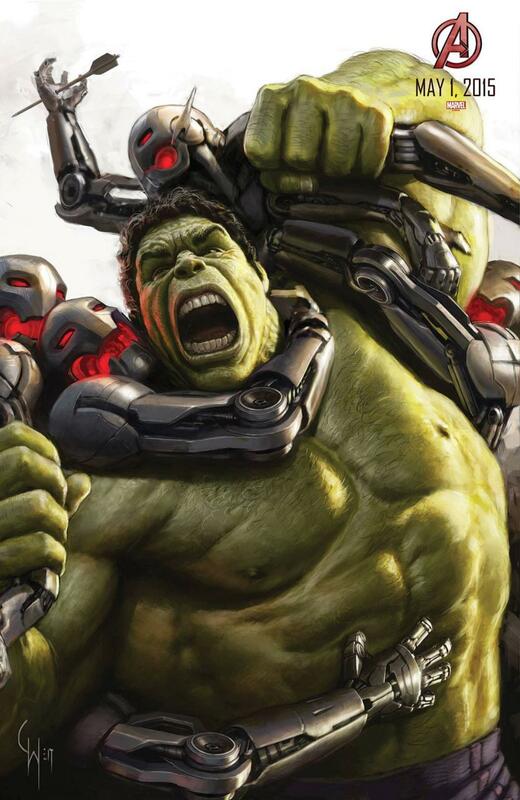 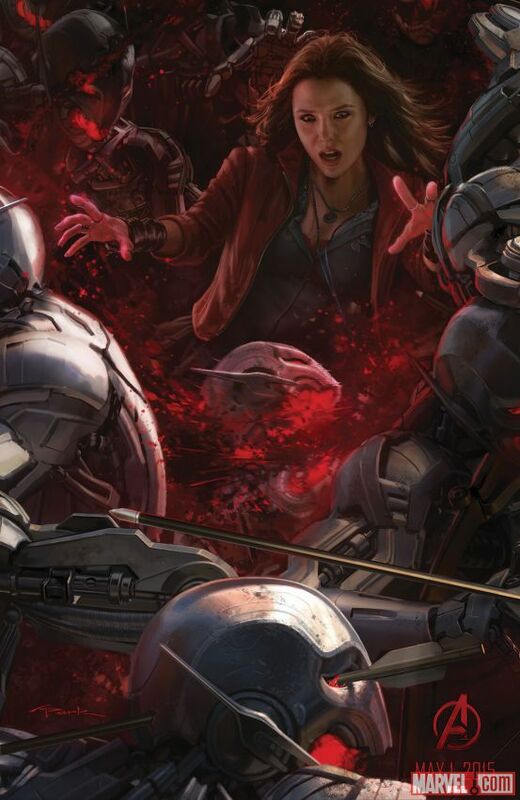 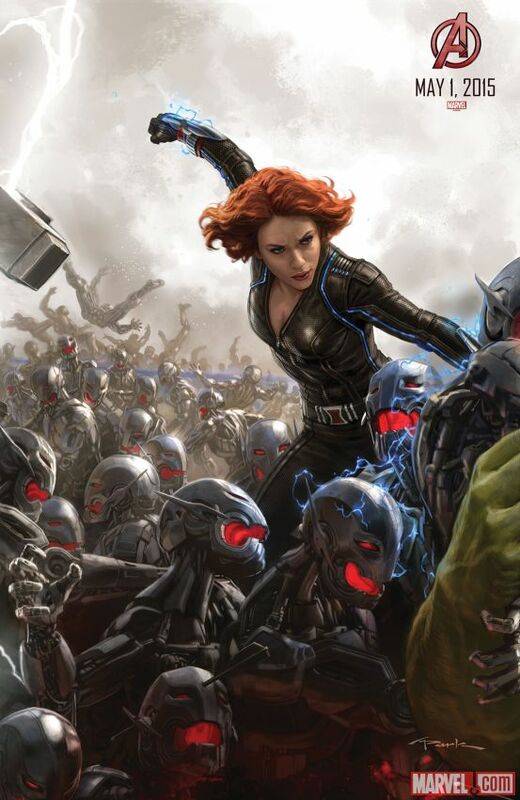 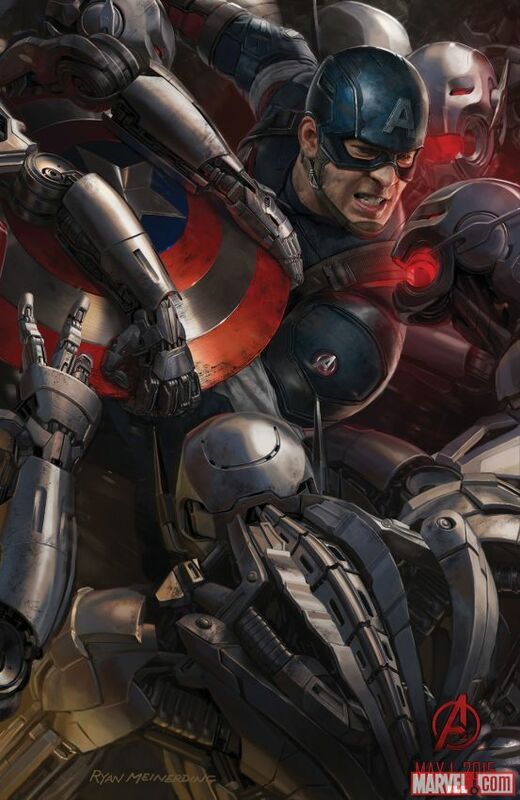 Marvel Studios has released all eight concept art posters for Avengers: Age of Ultron. 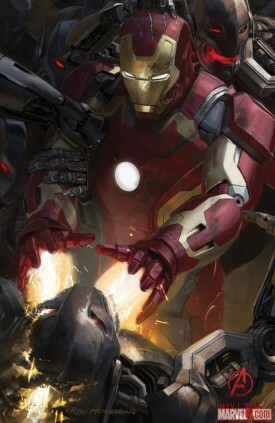 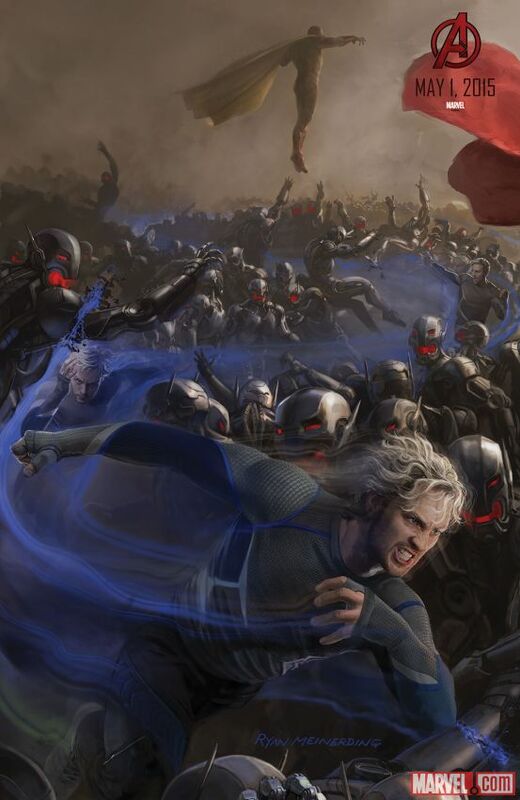 Each poster spotlights a member of the Avengers team and when assembled will combine to form one large piece of concept art. In theaters May 1, 2015, director Joss Whedon’s superhero action sequel stars Robert Downey Jr., Chris Evans, Chris Hemsworth, Scarlett Johansson, Mark Ruffalo, Jeremy Renner, Samuel L. Jackson, Cobie Smulders, Paul Bettany, James Spader, Elizabeth Olsen, Aaron Taylor-Johnson and Don Cheadle. 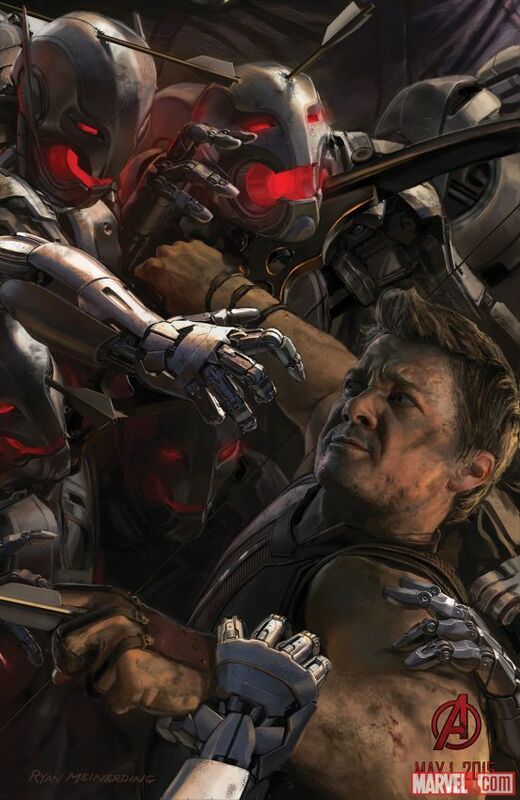 You can check out the SDCC concept art posters for Marvel’s Avengers: Age of Ultron directly below.